Social Media Platforms have become the easiest method to garner traffic for your website. It has become an integral part of SEO and it can improve the exposure of your company. This makes social media networks an important part of running a successful business nowadays. Be that as it may, it is a fact that it is not easy to master social media networks. After all, there are many of them. Nonetheless, by utilizing social media networks in the proper manner, you will find that you are improving the way the customer views your business. 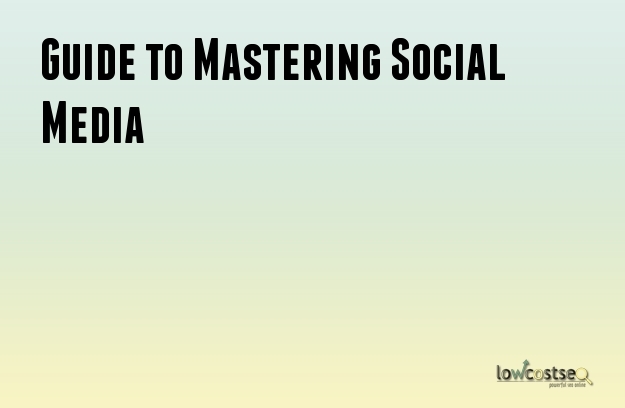 There are a few tips that you can use to become master of the social media technique. It is important that you optimize all the profiles of your business in the different social networks. The avatar or the profile picture should be compelling and related to your business. It should be the same in all the social networks you have a profile in. The bio of the profiles should be interesting and informative. The bio needs to contain keywords that are related to the expertise of your business. Everything about your profiles should be the same in all the different social networks. This includes the profile picture, the bio and even the username. It is highly essential that the contact information you put in such as phone numbers and addresses are consistent. Consistency will help your customers recognize you in the different social networks. Additionally, different information in different social networks will create a poor image of the professionalism of your company. You need to take time and create content that is worth sharing. Share the interesting and informative content with the followers in your various social network profiles. Avoid creating content on a large number of topics. Rather limit yourself to a few topics that you are interested in. They should appeal to your customers and be related to your business. Your customers will get a reason to follow you and understand your interests. Try to avoid posting content only about your business or of your personal opinions. It makes you look rather one-dimensional. Your customers will get bored pretty quickly. Instead, ensure that a complete picture of your business is showcased through your content. People enjoy social media posts that are encouraging and positive. If you manage to inspire or motivate your followers with your posts, they will appreciate it. Drama should be avoided at all costs as it creates a negative feeling about your business. Your followers and customers are bound to leave a few comments and questions to your posts. Take out the time to reply to those comments and queries. Your customers value interaction. Of course, it can become a challenge if you have a lot of followers. Social networks are the newest fad and very good tools for your business. With a little bit of practice, you can attain a good amount of success through your social networks alone.